Definitely you heard or saw or using some from of wireless electricity transmission. We have a basic technical article on wireless charging. 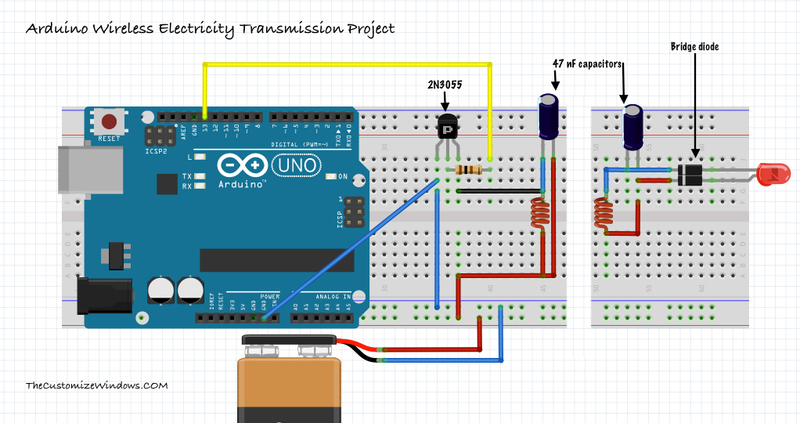 This guide, Arduino wireless electricity transmission is a complete DIY, easy project with basic electronic components with circuit diagram and code. 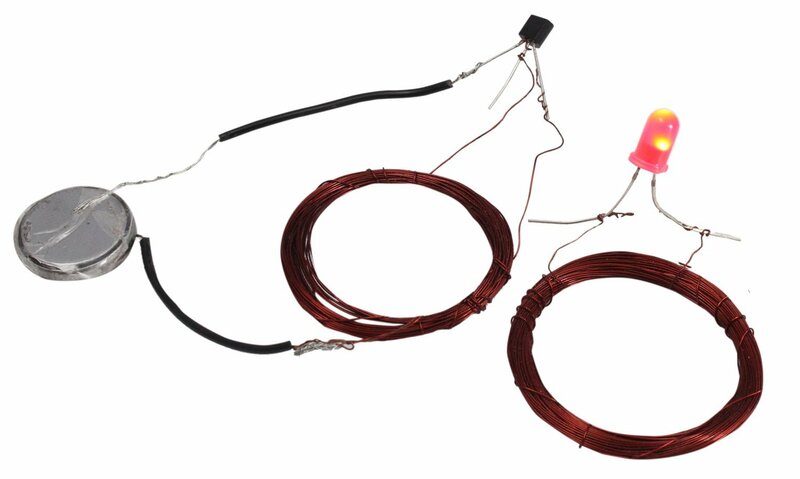 We talked about different types of copper wire, the needed wire is called winding wire. We will create need coil with that wire. You’ll get the wire which you’ll get in any electrical shop or inside some thrown away electrical stuff like AC LED bulb’s circuit or old small transformer. Using bride rectifier, resistor and capacitors in our Arduino project is for making it technically correct. This Article Has Been Shared 5584 Times! Cite this article as: Abhishek Ghosh, "Arduino Wireless Electricity Transmission Project," in The Customize Windows, August 8, 2017, April 26, 2019, https://thecustomizewindows.com/2017/08/arduino-wireless-electricity-transmission-project/.